I totally understand your logic. In Warlords of Draenor, you've spent countless hours developing rewards and quests around never flying. Treasures hidden throughout the Nagrand that are only reachable via flight. Bosses hidden deep into level 100 zones that drop mounts, toys and epic gear. Having the option to helicopter into a zone, drop on the destination, then airlift out immediately bypassing all that design, glory and, well, basically all that work you've done. But what about all the work I've done? I get the feeling you're planning to throw, my 20 flying mounts, all in the trash. Windrider is simply a cat mount with wings. Drake? Yeah, funky dinosaur. Red Flying Cloud is now a low hovering fog bank. That $25 sparkle pony I bought from the Blizzard store? Dumb wing-clipped pegasus! This got me thinking.. Why am I trying to solo Ulduar (for the wing clipped drake? or for the robot's head?)? Why am I bothering to grind Netherwing rep? When it's all completed, I am going to have mounts that are only useful in a few legacy zones, that I don't really have any intention of going back to. (I am sure, I will always have a way to go to Orgrimmar or Stormwind and test out my awesome new flying mount, but it's only going to take me between the AH and the bank. Yeah!! ) I will reach the 100-mount, Mountain o'Mounts achievement, which rewards yet another flying mount that I won't get to fly..
STOP SELLING FLYING MOUNTS IN YOUR STORE! It only gives new players a false sense of what is to come. 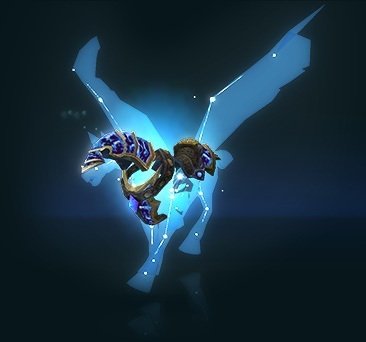 This mount will only fly in a few zones, none are at not max level. 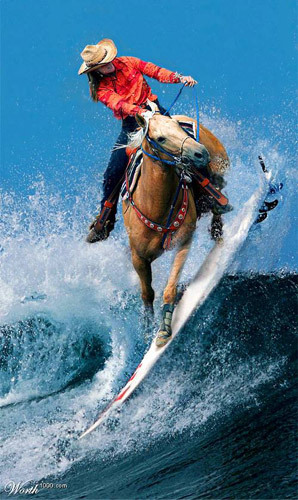 Put in some real mounted PVP. 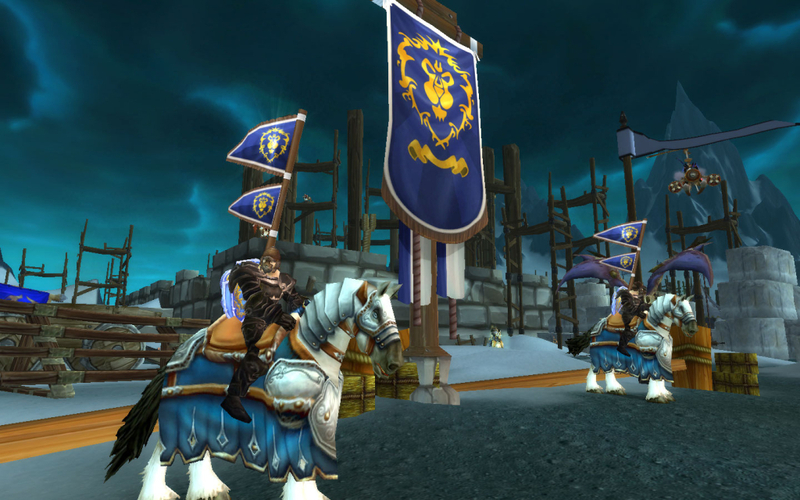 I am liking the mounted fighting in Nagrand via the garrison perk, but would like to see it go further. Maybe make the racing to various areas a requirement? Maybe something that would actually have me flying? An area that includes both? Grab bombs and drop them on racers for the opposing team? Don't discount the mount. I worked to get each and every (non-faction) mount that I have. Make them still useful in the game, even I can't self-fly. How about taxi stations are replaced by hitching posts? I run to the post, click on it, and it spawns one of my own mounts? Sure it flies along a designated path to the next post or maybe even (like flight master) pick a destination, but randomly seeing my bloodbathed frostbrood vanquisher would be nice. If I visit a guildies garrison, I'd get use one of his random mounts! Fix mounts in water. When my ground mounts run through water, fix it so it's more realistic. For example, I have several mounts that are flying mounts, that are not animals. They fly because of some magic imbued into them. These mounts should not be tied to the same laws of physics as my animal/vehicle mounts. The flying carpet, hovering disk, mimiron's head, the pandaren kite, and nether ray's all for example should float above the water. Make it as if they are flying above the surface and not a submarine underneath. 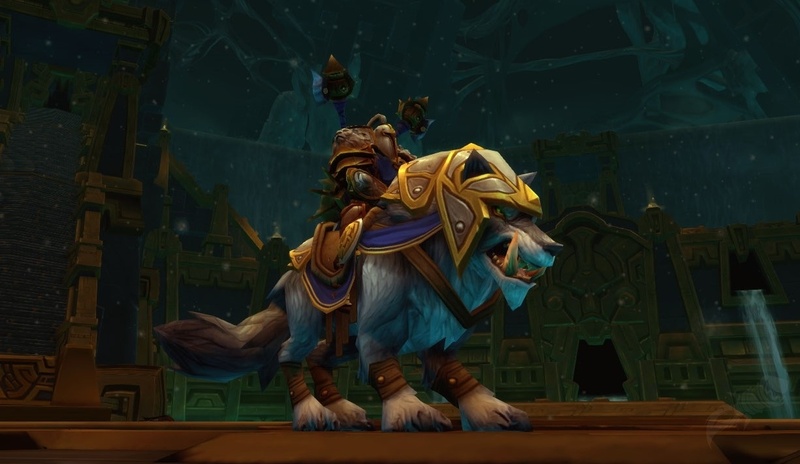 In addition, I feel that the ICC mounts, like the frostbrood vanquisher should be buffed with the DK 'frost walking on water'. New Glory to the Ulduar Raider Mount! Revamp those Raid and "Glory of the __ Raider" Rewards - A major aspect of the game for many people is going back to those glorious raids and farming the mounts that drop off the bosses and that are rewarded for the achievements. (There are 5 Elkagorasa has collected and 39 still un-collect) In the lull of trying to complete the silver proving grounds, I had my warlock running ICC and Ulduar to get the various mounts that drop. As I mentioned earlier, now that you are not going to allow my flying mounts to fly, I am seriously considering dropping this. Sure, Mimiron's head is cool, but it has a REALLY LOW drop rate ( > 2% chance). I could complete this raid 50 more times and it may drop.. If it does, I won't even be able to fly around my garrison in it.. What is 50 hours of my time worth?? Now, if I could cruise through Draenor in my very own Flame Leviathan (and sit 2 of my friends in the arsenal seats) that would be AWESOME!. 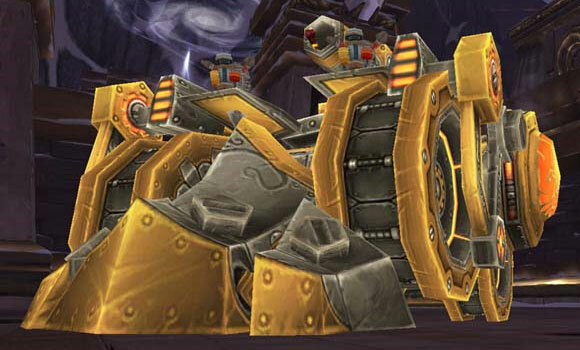 Mimiron's head could include the bottom two layers when on land, and I could drive around in Mimiron's tank! Port to Orgrimmar, the head detaches and I fly around in just his head (tank body despawns until I land again). There isn't a WoW player out there who isn't nostalgic about the game from days gone by. Oh how I miss the days when locks were OP and everyone invited you to their party. (Now we're just girl scouts, handing out free cookie samples. "Come get your free Thin Mints!") I so miss the days of having 52 skill points to spend, needing to grind mobs for soul shards (that didn't stack) and losing an entire bag slot to them. I miss having to travel to each and every dungeon/raid entrance after spamming some chat channel for hours looking for a healer and tank to only have the healer and/or tank drop after the first boss. Oh, wait, no I don't. I sure hope the decision to drop flying completely for Draenor and beyond was not taken lightly. It's not only a game-play mechanic, or 'quality of life' item (like no more soul shards), but also an integral part of the game from BC to Pandaria. In addition, there's the business perspective of real-money flying mount sales. I've heard, you are investigating changing that to gold also, but for many that's still WowTokens. Which, personally, only makes it feel more despicable. Don't just remove flying from the game (going forward). Make it personal. Why do all horde taxis still use the windrider? Make our mounts still useful. Let us use them in PVP, dungeons and raids. Bring about different achievement rewards that are fun and yet still useful. You have the models already for a number of awesome vehicles, yet we never get to drive off with them. Ulduar being the perfect example with 3 different vehicles available in the first boss fight. Finally, please help my flying carpet not be a rugmarine.. If you are going to take away flying, at least make existing travel more exciting.